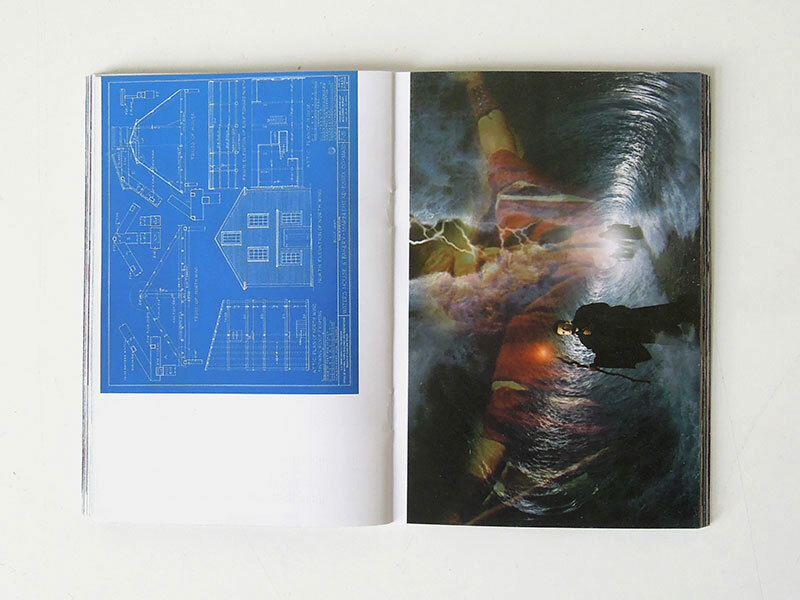 This booklet is not an official document. It is a draft upon which further negotiation is necessary. 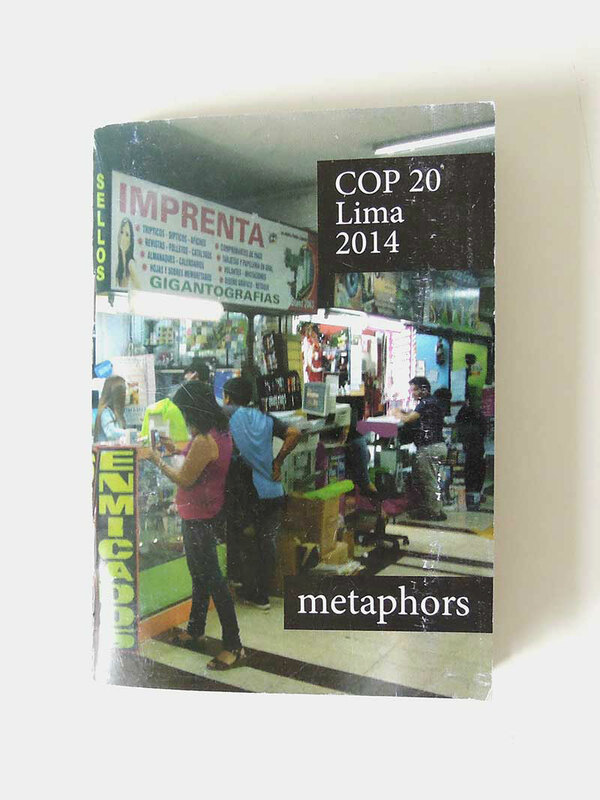 Its pages present an overview of the different metaphors used during the 2014 UN climate change conference that took place in Lima, Peru. The images were collected by an artist who joined the Belgium delegation during the negotiations and were subsequently visualized and put together by various graphic designers from Wilson, Lima‘s printing district. Originating from official speeches, information brochures, articles and informal conversations at receptions, these images may give an overview of the way we imagine our presence on this planet and the unimaginable environmental problems we seem to be causing. 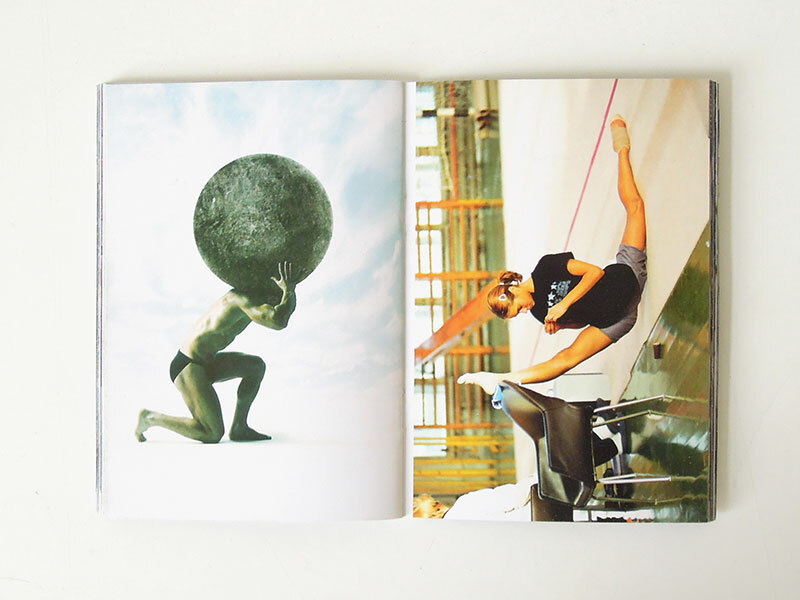 The booklet was made within the frame of the Art Festival Futuro Caliente in Lima, Peru.